You mean you’ll never get married? I’m sitting here in a comfy armchair, watching a movie on tv, drinking a delicious cup of Earl Grey tea and relaxing with friends. Anything wrong or strange with that? No, it sounds normal. Now here’s some more information. I am sitting a room, surrounded by 30 something pictures/statues of different popes, watching The Cardinal, surrounded by 5 other men, all my age. Sound a little strange yet? Yeah, maybe a little. Today is also Valentine’s day, it’s a Friday night and oh I almost forgot, I’m a seminarian at seminary. What is it that would make me, or any other man my age (even women in religious communities) want to forego marriage, not have physical intimacy with another, not have biological children, and go against everything that is seen as “normal” in today’s world? Back to the main question though, why would I or anyone give-up all of that? I answered that it is for others. I also stated above, that marriage leads you to love another. But what about celibacy? What made you choose celibacy? I have blogged before on why I want to become a priest, (actually no I haven’t, I realized that it is still a draft. I shall publish that sometime soon.) But why did I choose celibacy? That was an important question that I have been asking myself since joining seminary, and will continue asking until I make my Deacon Promises and am ordained, God willing. What should the answer look like? I’ll get there. But first, let’s go back to my original question, of why on earth would anyone want to become a celibate? Others. Being a single celibate, can have good financial and theological reasonings in the church. For instance: If a priest had a family with a wife and kids the financial stress that would put on the parish, people, and the priest would be immense. 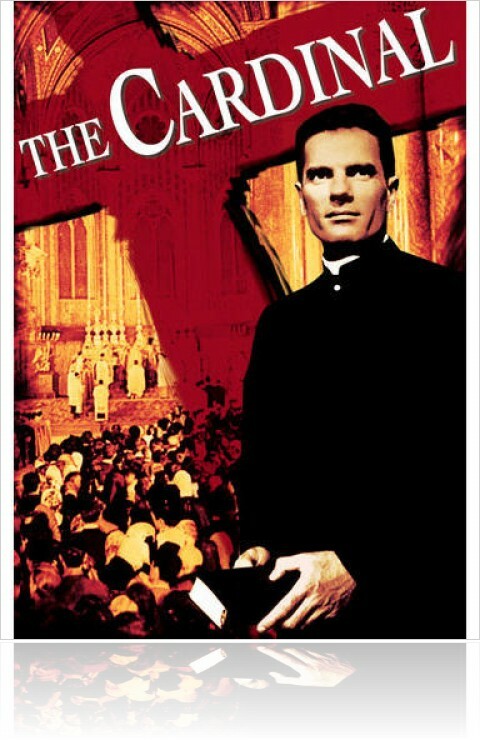 (Yes, it can be done, and it is with priests that are ordained from other faiths who converted. Even they speak though of the need for celibacy.) A priest would not be able to give his family the amount of time and attention that they require, as well as his parishioners. There is also the theological reasonings: namely, Christ was a single male, priests stand in persona Christi capitis (In the person of Christ, the head), thus being married, would not enable them to be an alter christus (another Christ). They could not represent him in the same way, which they do. There has to be more though, no? It isn’t just theological or financial reasoning, as to why I would want to choose celibacy, there is something else that exists. Others. Celibacy as Bro. John Mark pointed out, has to result in an increased capacity for love. How does it lead to love? A celibate is able to give completely of himself to others. (Hey, I keep saying that!) Being free from family, a celibate is able to give himself completely to the people of God. Okay, so that does sound a little cliché, let’s see if we can expound upon it a little. Celibacy frees a man to give himself, body, and soul to the work of the salvation of souls. Brother John Mark started off his presentation by telling us that: “celibacy is like a box, yes it is confining, but that’s part of it.” When we gain self-knowledge, on who we are, how we define ourselves, we are then able to accept ourselves, for who we are and be comfortable with it. Only when we have a healthy balance of self-knowledge and self-acception can we hope to be able to give of ourselves in a meaningful way to others. Celibacy calls us to love others and God more! We are called to give our desires and feelings to God and in service to others, thus taking the energy, time, etc. that we would give a spouse and turning it around, offering it to God and using it to minister to his people. That’s not to say that celibacy is not difficult. Yes, there will be times when I feel alone. There will be times when I ask myself why I did all of this, but the end is worth it. We move through it. We focus on God and the outcome, have time for spiritual reflection, learn more about ourselves and recommit ourselves to the task of salvation. As men of ministry we are called to give ourselves away to others, regardless of whether we like them or not. In a sense, we are called to show them hospitality and be Christ to them. Being a celibate has its fun moments. See my blogpost here about 27 celibates singing happy birthday to a woman at a restaurant. Celibacy is not a price to pay for something else, it is a gift from God. And we recognize that that gift is something special. When I take a vow of celibacy I will not have everything that I need to live the life of a celibate. I won’t know absolutely positively for sure if it’s for me. But I will be very, very, close to being sure. As long as I am living a spiritual holy life, doing everything that I can to follow God’s will and rule in my life, I ask God to supply the rest. And supply it he does! As a celibate, I am called to turn my loneliness into solitude. To reap the spiritual benefits, and give of myself completely without reserve to the people of God. I am called to a life of love. Not a life of spousal, intimate love; rather a life of self-knowledge, acceptance, and gift. Sitting here in my comfy arm chair, watching a movie with my brothers is not lonely, it is not saddening, it does not cause me any turmoil. 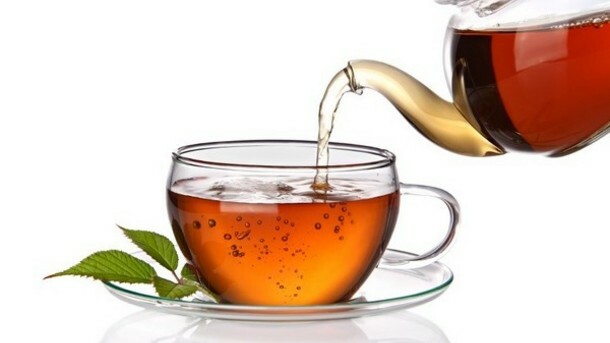 The only thing that brings me pain, is that my tea cup is almost empty! Instead, it does the opposite, it leaves me at peace, happy, and full of life, love, and joy. Part of the Rite of Ordination calls for the Bishop to state to the man: “May God who has begun this good work in you, bring it to fulfillment.” I pray that God will continue to draw me closer to his bosom. That he will nourish me with his body and blood, keep me close to the sacrament of confession, and send me his saving love and help. I know that by coming to seminary I am taking a risk. I am surrendering everything to the will of God, asking only that he help me become the man he is calling me to be. Right now, that is as a single, celibate seminarian, discerning a vocation to the priesthood. I pray that one day, God may draw this work to fulfillment, that I may be filled with grace, peace, and love, as I say yes to him and vow my life to a life of a celibate; loving, giving, service to his church and the people of God. May God who has begun this good work in myself and my brothers, bring it to fulfillment. 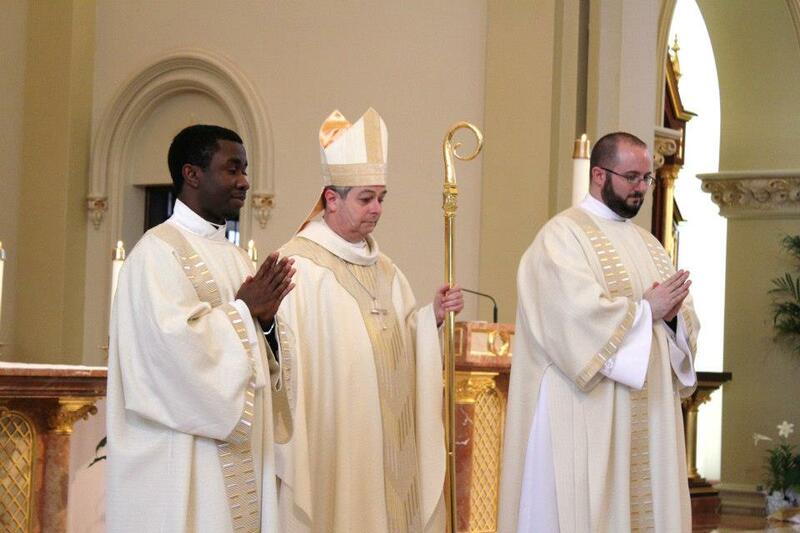 Deacon Immanuel, Bishop Medley, and Deacon Will, after the diaconate ordinations, last may. First, I just wanted to thank you for even starting down the road of discerning the priesthood. I think it’s difficult for men to even hear God calling them with all the distractions in the hyper-sexualized culture we live in today. It takes good families working to form their children’s consciences so they can recognize the emptiness of lifestyles steeped in sin and to be open to a religious vocation. Second, now that I’m married with three kids Valentine’s Day has evolved for us from a romantic focus just on each other to a day in which we let our kids, our parents, grandparents and friends know how much they mean to us. (of course, we do this other days as well but this day is a special day for it). We spent Valentine’s Day evening having another family with children over. The kids ran around, played and ate too much candy and desert and the grownups got some time catch up and talk over dinner. It may have not been a “romantic” evening but we had a great time. You bring up an excellent point! I know that in my own family, my parents and family always sent Valentine’s Day cards, sweet treats, and I can always count on either a good book or movie from my Mom. (This year it was Chessman cookies for with my tea!) I think that that is a very healthy progression of events. From “romantic” to focusing on the fruit of your love, and those around you. Celibacy flows in the same way, from internal knowledge to moving towards loving others. I think that when we love what we are doing, who we are with, and practice our faith, we are really opened up to the will of God and are able to exercise his mission of saving souls, whether it be in our biological family, or our parish, focusing inward, then moving outward is a great thing! Thank-you for you kind comments and insight, but also for your vocation to marriage! It is such an important part of our world and one that is under attack so much as of late. May God bless you and your family, know of my prayers! I count on yours!